Go Adventures: fishing, boat tours, ATV tours, canopy tours (zip lining), surfing, and surf tours. Casagua Horses Tours: horseback tours from 2 hours to half day or more tours. Bolas Locas Mini Golf: a family friendly activity that is close to the beach. 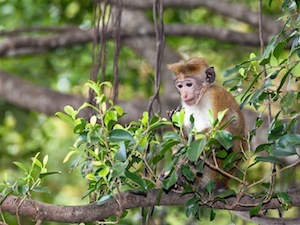 Monkey Park: a small, nonprofit wildlife refuge about 11 miles outside of Tamarindo. Las Baulas National Marine Park: includes several beaches; has the largest nesting colony of leatherback sea turtles on the Pacific coast of Costa Rica. Leatherback sea turtles are one of the largest reptiles on earth and they are on the brink of extinction. The nesting season is November through April. Pacific Coast Dive Center: diving programs at different points in Catalina Islands. Divers must be certified divers and at least 10 years old. Tamarindo Estuary Kayak Tours: a 2.5 kayaking tour on an estuary between Tamarindo Beach and Playa Grande. Children under 10 are not allowed on the tours. Surfing lessons taught by Arena Adventures: a 2.5 hour lesson that will get you standing and catching a wave on your first lesson. Stand up paddle boarding: lessons are taught between 9 am and 3:30 pm. : sail on a 40 foot catamaran. It is possible to see sea turtles, manta rays, dolphins, and whales. Los Altos de Eros Boutique Spa: relax and enjoy a spa treatment in one of five rooms that overlook the Pacific Ocean and the tropical forest, then follow it up with a gourmet lunch. They provide transportation from Casa Tranquila to the spa and back. Hacienda Pinilla Golf Course: This par 72 course overlooks the Pacific Ocean. Treat yourself to a yoga class. 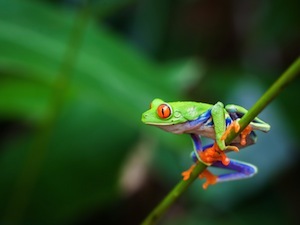 Guanacaste tours: enjoy Heliconias Rain Forest & Hanging Bridges tours, Palo Verde Nature Cruises, a Hidden Garden Art Gallery, white water rafting, ATV tours, snorkeling tours, fishing tours, river float tours, horseback riding tours, and more! Hike the Samara Trails: a 2.5 hour hike through a tropical dry forest. Take a horseback tour at Black Stallion: take a 2 hour ride on this private ranch with a cowboy guide, and then enjoy a BBQ buffet cooked for you. Hike to the Rio Celeste in Tenoria Volcano National Park: sulfur and carbonate from nearby Tenorio Volcano combine to make up the beautiful blue color of this river. The hike includes views of a waterfall and hikers can cool off in the pool below the waterfall. Tour the El Viejo Wetlands: visit this wildlife refuge which is home to many endangered species. 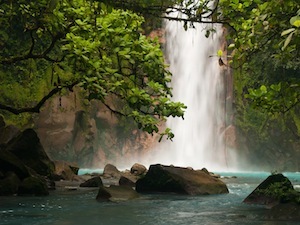 Llanos de Cortez Waterfall: this waterfall spans 30 feet wide and 40 feet high. Palo Verde National Park: this national park is within 30 minutes of Guanacaste and it is home to various birds, crocodiles, lizards, iguanas, and white faced and howler monkeys. View the beauty of the park from a boat tour. Playa Hermosa: this beautiful beach was voted the best beach in Costa Rica. Viento Fresco Waterfalls: Enjoy the series of five waterfalls by following the trails on foot or on horseback. Playa Conchal: this is a beautiful shell beach with calm waves, which makes it ideal for swimming and observing the tropical fish while snorkeling. Playa Ponies Adventure Tours: jungle and beach tours on horseback. Snorkeling tours of tide pools and San Juanillo Beach are also available. : this popular surf instruction company started off giving lessons to women only, but they now offer lessons to both men and women. They offer individual lessons and surf camps. 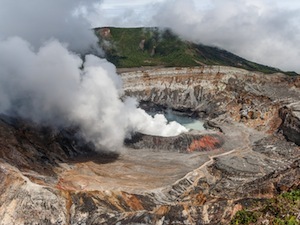 Observe the mudpits and thermal fountains of the Miravalles Volcano or visit another of Guanacaste’s volcanoes. Explore the limestone caves in Barra Honda National Park.